A boat leaving Picton in Queen Charlotte Sound. Mabel Island centre right. 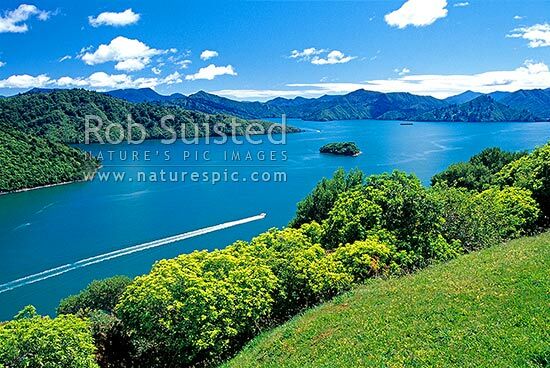 Marlborough Sds, Marlborough Sounds, Marlborough District, Marlborough Region, New Zealand (NZ), stock photo.